A Roberto Cavalli printed light cotton satin sweatshirt from LUISAVIAROMA and black leggings are a go-to outfit for lazy days when you and your kid don't want to do anything special. 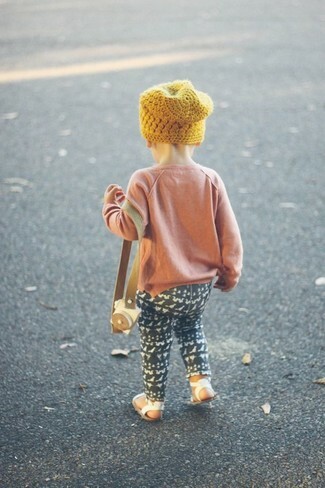 As for footwear your tot will love tan boots for this look. 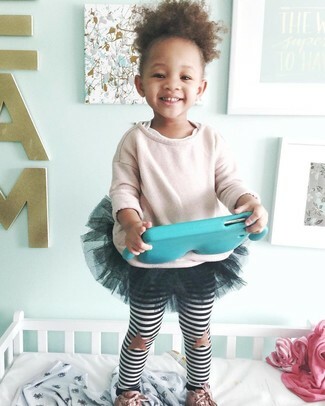 Dressing in a pink sweater and a black tulle skirt is a nice fashion choice for your little fashionista. Pink sneakers are a good choice to finish off this style. Reach for a Roberto Cavalli printed light cotton satin sweatshirt from LUISAVIAROMA and navy denim shorts for your little girl to create a cool, stylish look. The footwear choice here is pretty easy: complete this style with tan boots. Choose a Roberto Cavalli printed light cotton satin sweatshirt and white shorts for your darling to create a smart casual look. 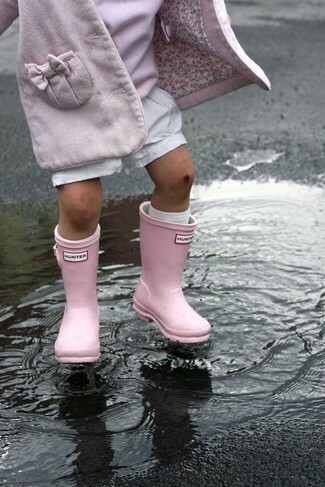 This style is complemented perfectly with pink rain boots. 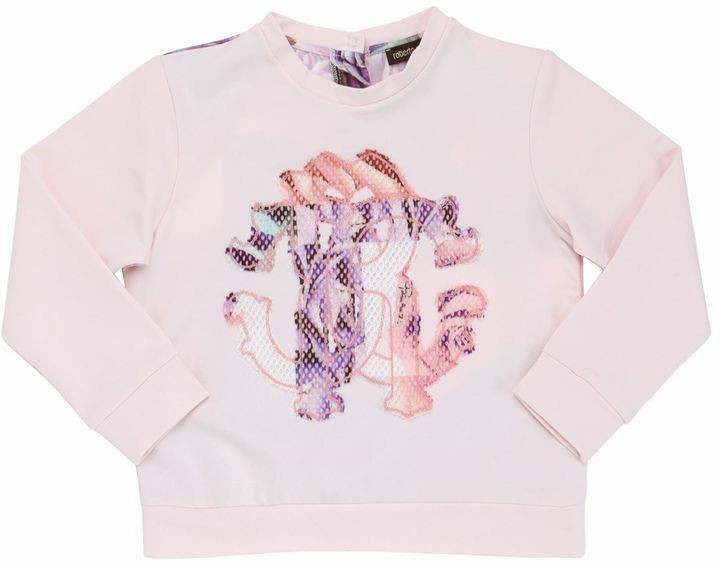 Suggest that your tot pair a Roberto Cavalli printed light cotton satin sweatshirt with black leggings for a comfy outfit. White sandals are a nice choice to complete this outfit. Go for a Roberto Cavalli printed light cotton satin sweatshirt and navy jeans for your girl for a beautiful casual get-up. 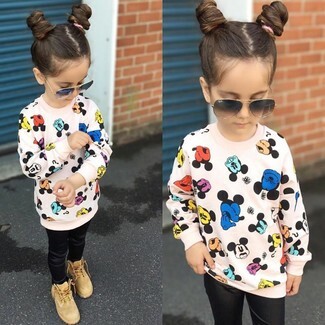 As for footwear your child will love white boots for this look. Suggest that your darling team a Roberto Cavalli printed light cotton satin sweatshirt with a navy skirt for a cool, fashionable look. As far as footwear is concerned, suggest that your child throw in a pair of tan sandals.